​Shirley Walsh Czulewicz Interviewed May 3, 2017 at the Erie Blasco Library. Anne Shirley Walsh was born February 4, 1938 to Edward Harold Walsh and Anna Wardzinski Walsh. 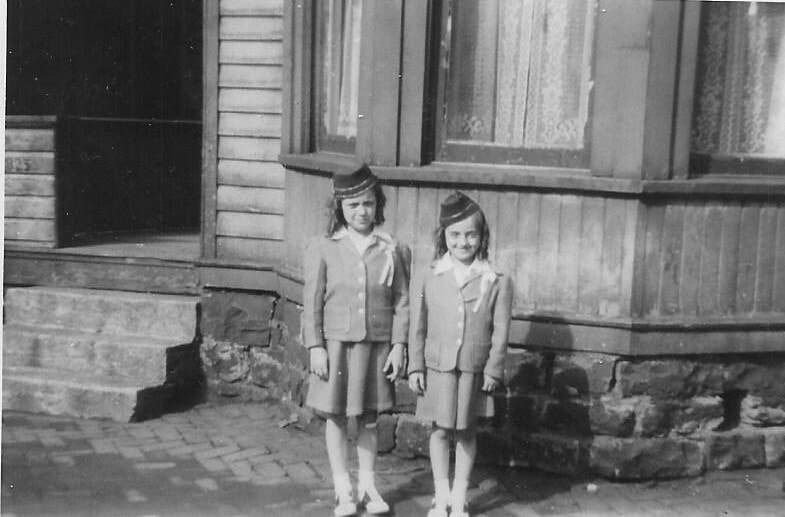 They lived at 1825 Holland Street, two houses away from the Nickle Plate Railroad. Her father, Edward was born January 4, 1900. He first worked at the Railroad then Koehler Beer. He was coming home from work one day, and took a shortcut, and was hit by a train. 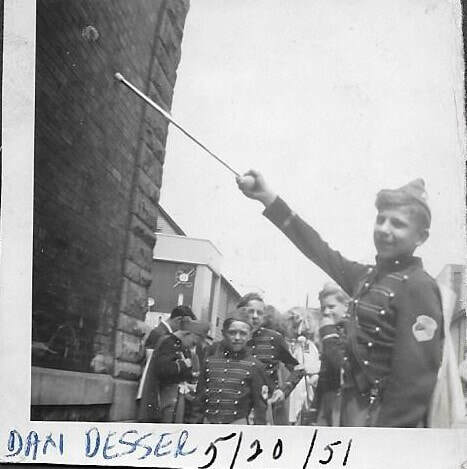 This was around 1943 or 1944. The Railroad Police came to the house to tell her mother. She was left to raise five children on her own. 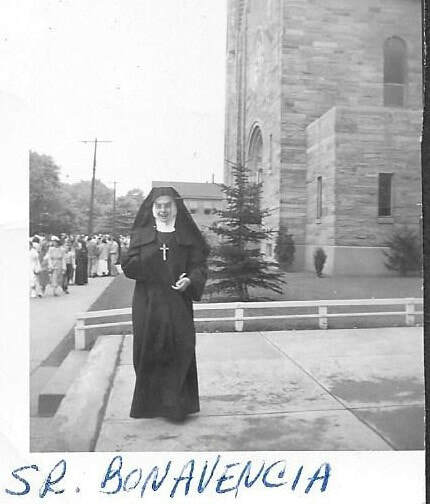 Shirley’s mother, Anna, was born June 10, 1910 and grew up at Holy Trinity. Her parents were Antoinette Koneinczy and Theodore Wardzinski. According to Shirley, she was the best mother in the world. 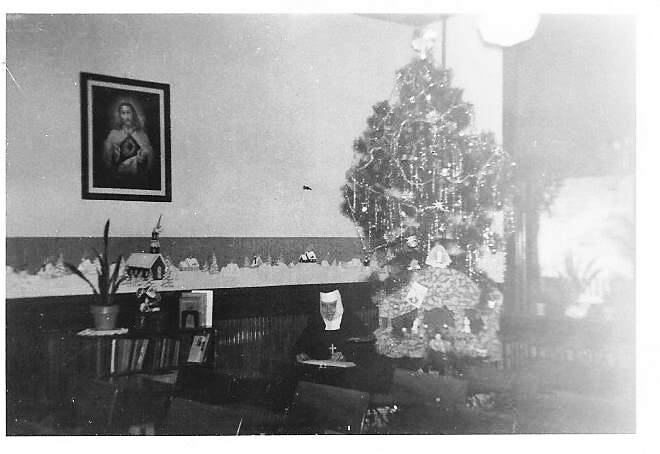 She cooked, baked (favorites were Paczki, Cruschiki, Czarnina,) sewed, did her own repairs, cleaned houses, cooked for the Benedictine Nuns and the Priests at St. Mary’s. 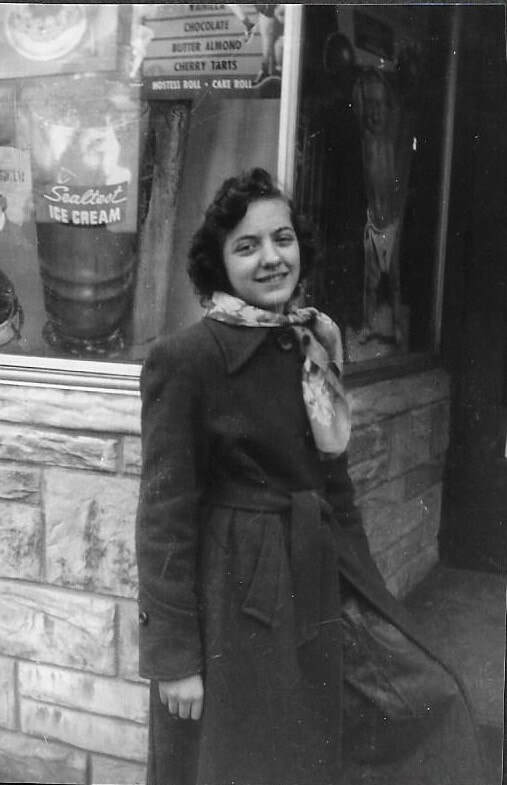 During the Second World War, Anna worked at Zurn’s making bomb shell casings. She even at one time had to take in boarders. She did everything to give her children a good life. Sadly, Anna Walsh died on September 30, 1967 after suffering a third heart attack. Before she died, she told Shirley about a key in her purse for a box in the freezer, that she shouldn’t open until her death. 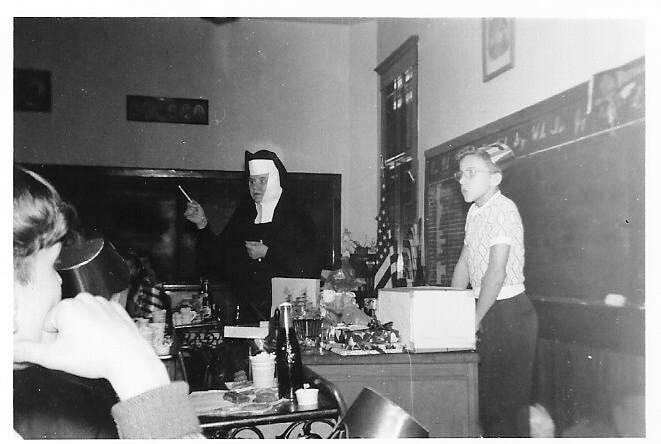 In the box were her mother’s bank book and some nickel insurance policies that she had bought. 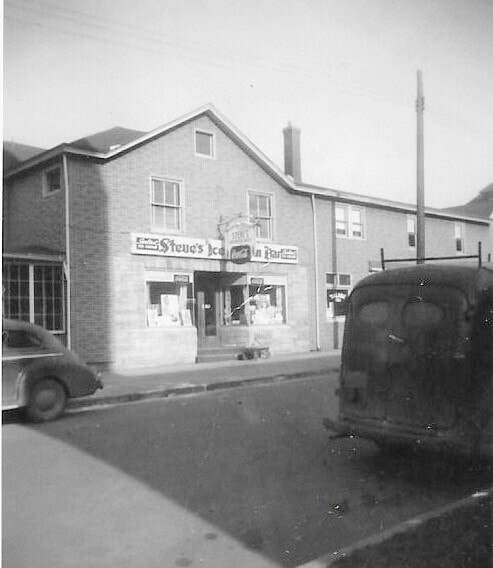 Shirley’s other neighbors were John (Bushels) Bielski who lived next door, and his brother Benny. Also, Eddie Ciesielski and family, Irene, Stanley and the twins who would walk with her to school. 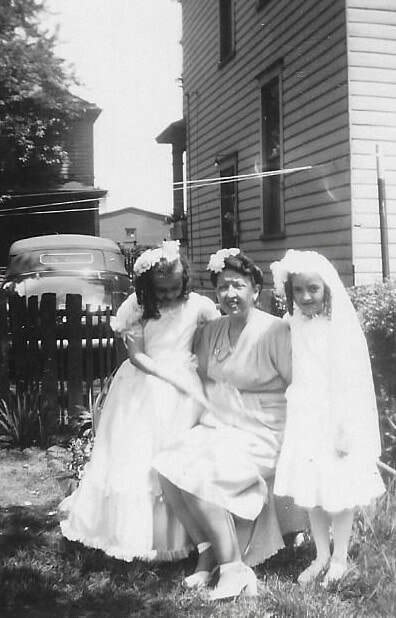 There is a cute picture of a little neighborhood parade with Eddie Ciesielski, Shirley and her sister they had on the Fourth of July. Although, Shirley and her family did not have a lot of money, their lives were full. 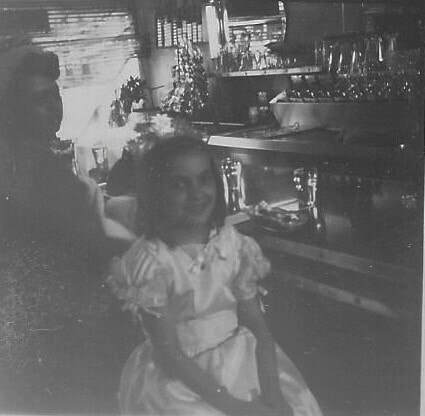 Shirley won a Baby Contest at age two. She loved her life and friends from Holy Trinity School. 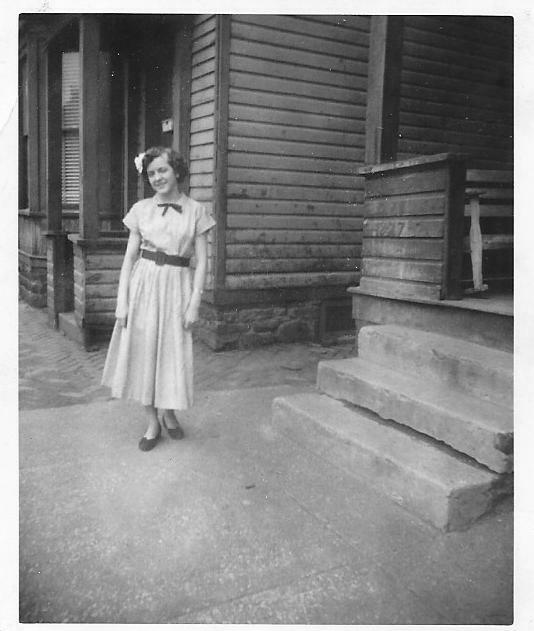 She took many pictures with her little brownie camera that captured what life was like growing up back then. 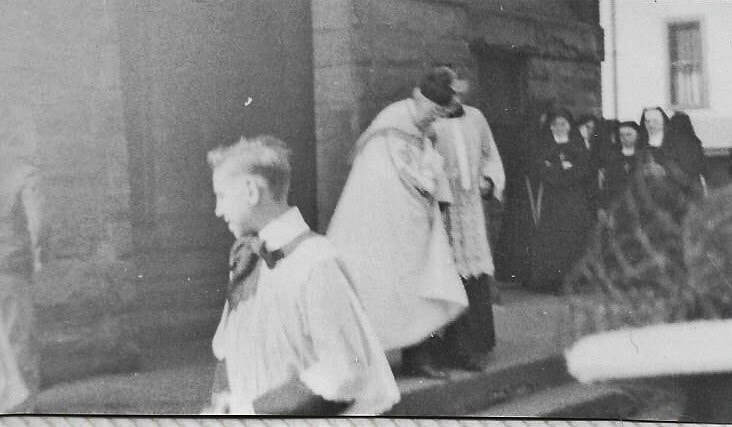 She was in the Sodality and took part in processions. 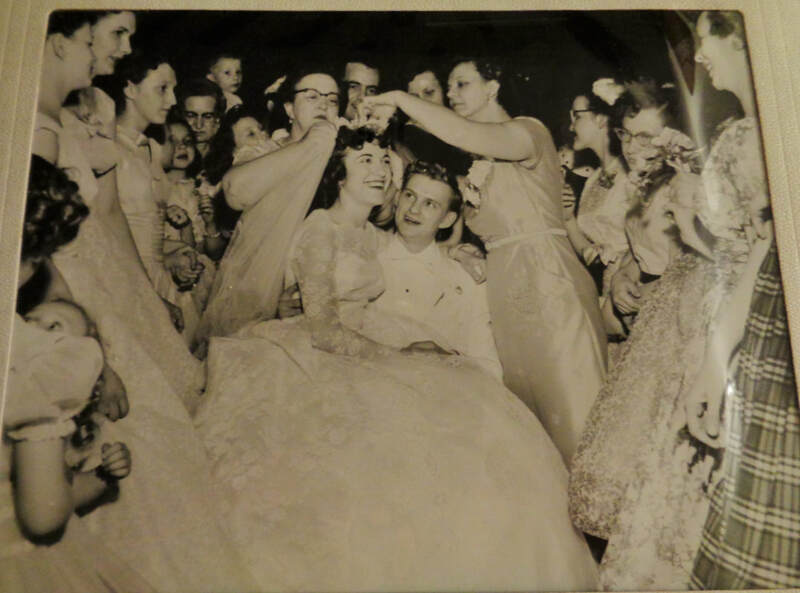 (In 8th Grade, Shirley was May Queen. 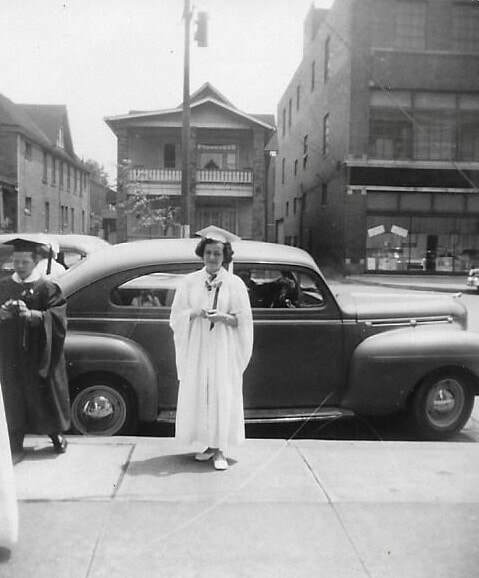 Mary Ann Benecki was the Prefect, and although Shirley was Vice-Prefect, Mary Ann wanted Shirley to be Queen. Shirley’s mother and she were so honored. 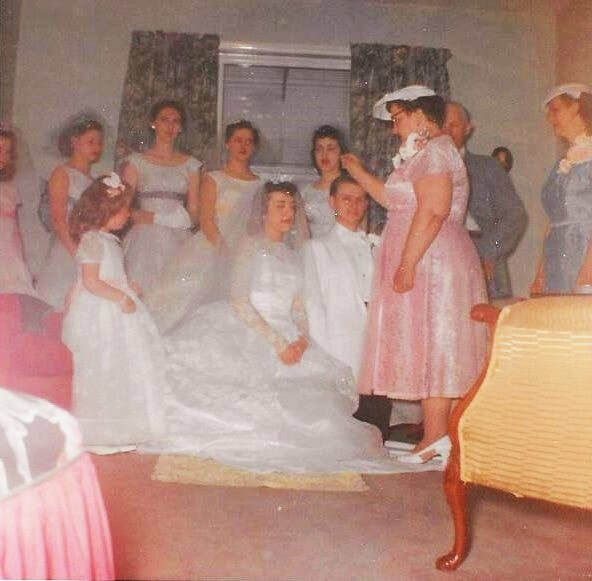 They borrowed a dress for Shirley to wear. Shirley was afraid she would knock over the Blessed Mother when she had to climb a ladder to crown her. (See picture.) 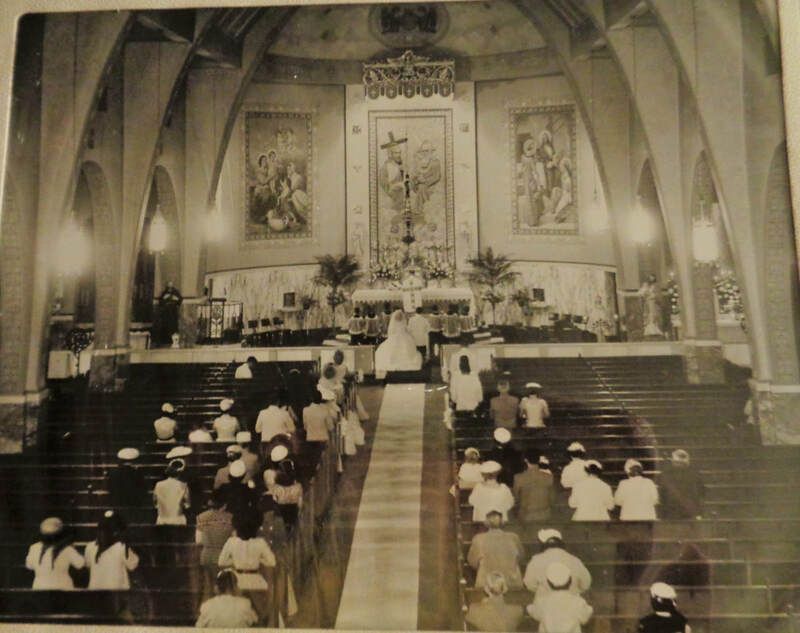 She remembers Sodality for the May Processions, prayers, and good works that they did. 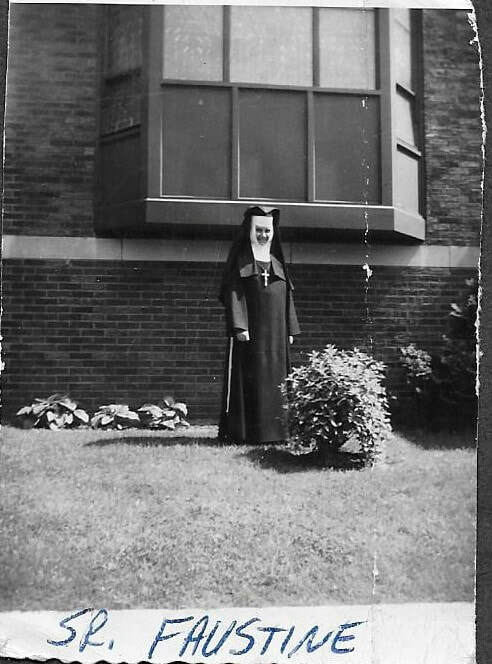 Shirley remembered all the Sisters who taught her at Holy Trinity School. They were very strict, but good teachers. Holy Trinity was very beautiful, especially with the Holy Trinity in the Center. 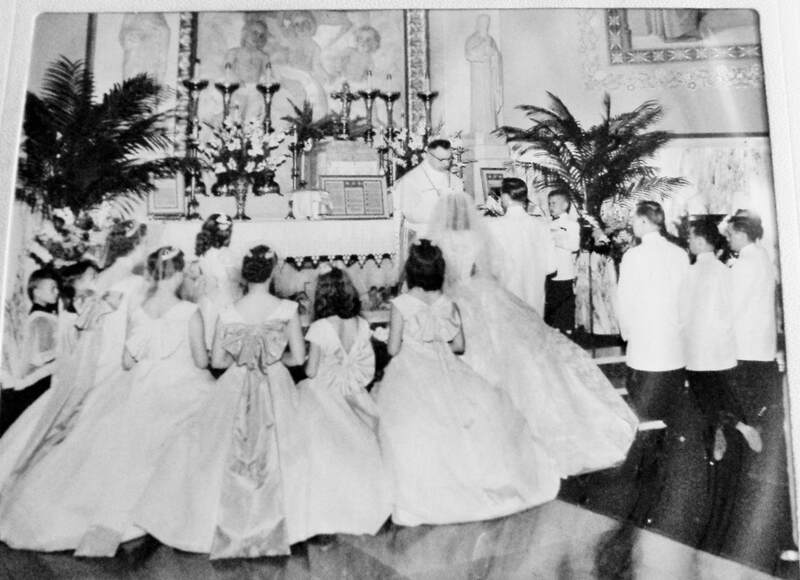 Shirley remembered Msgr. 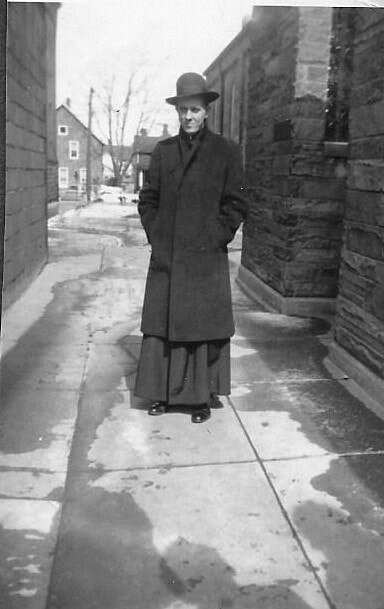 Niedbalski as rough; Assistant Fr. 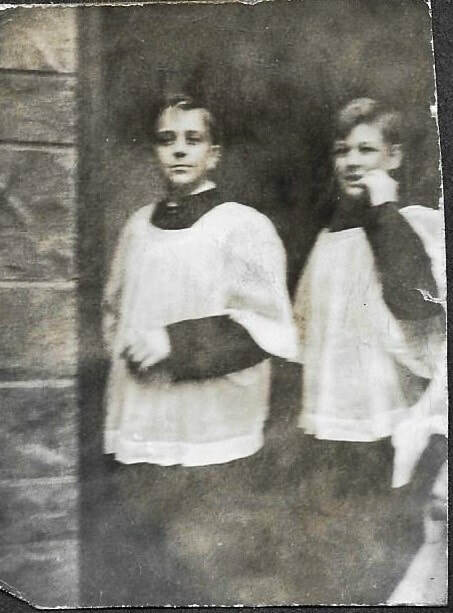 Frank Zacharewicz as young and kind; and Msgr. Mieczkowski as mean. 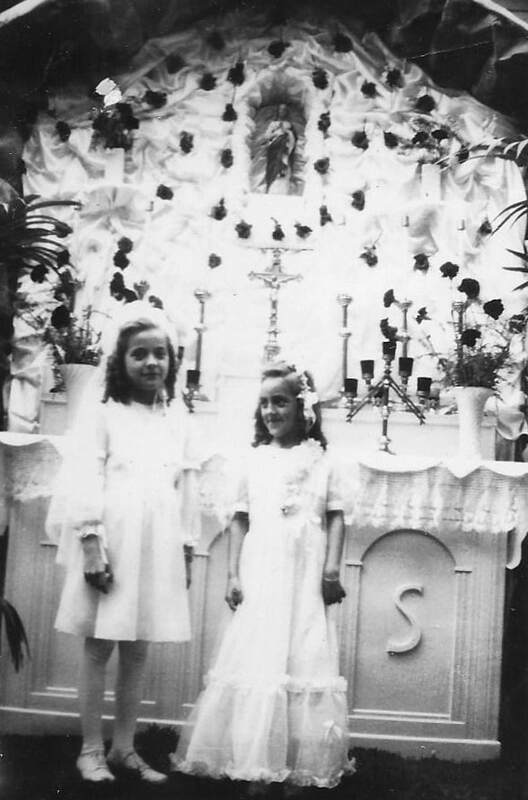 When she was to be married, Shirley and her sister went to Msgr. Mieczkowski to set a wedding date. He said he would marry her at 9 am, as there were other couples being married on that date also. 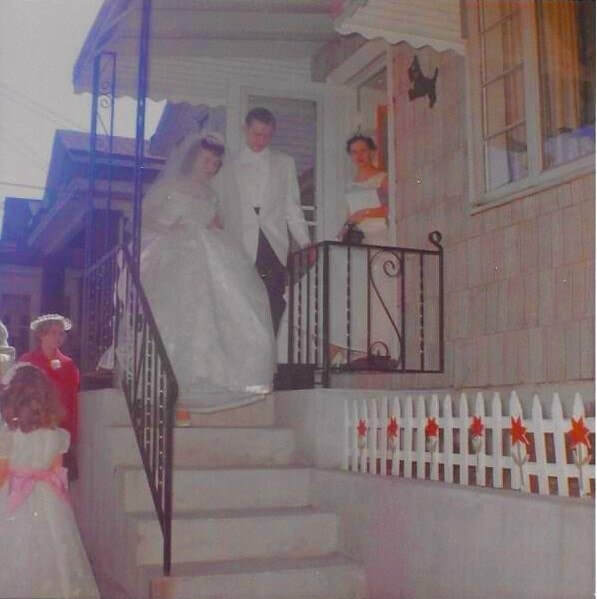 However, Shirley asked if they could get married a little later in the day because company would be coming in from out of town and they might not be there in time. He said, “In America, time is money, and Saturday is time and a half. That will be $10 more after 9 am.” They took the 10 am slot. 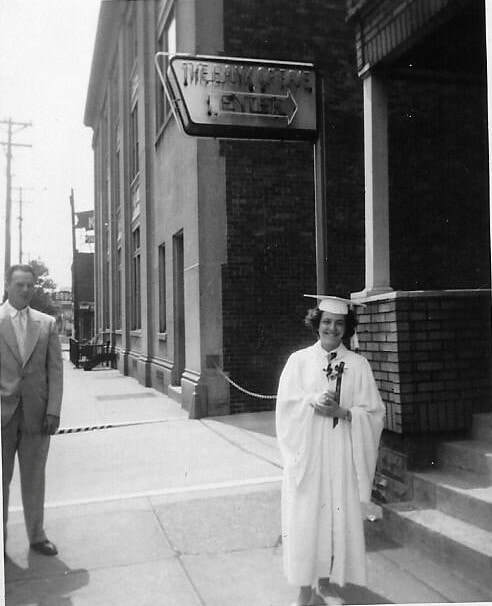 Somehow, Shirley was able to take music lessons at Osiecki’s for two years. 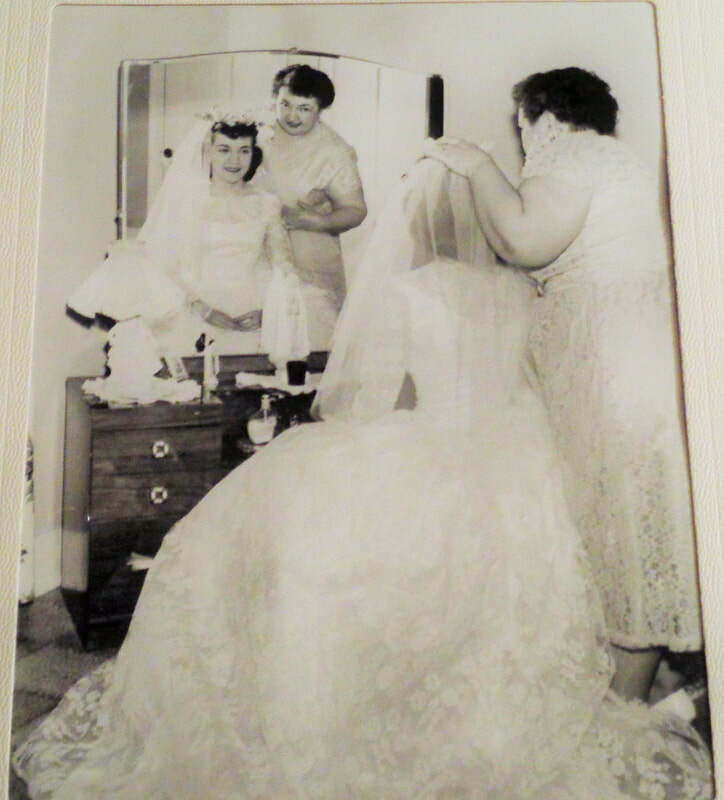 She wanted to take dance and piano, but her mother wanted her to learn the accordion. Her specialties were “Lady of Spain,” and “The Beer Barrel Polka!” When WICU-TV Channel 12 first started, they had a show on Sundays called, “The Little Miss Sunbeam Hour.” Shirley appeared on that show playing her two special songs. 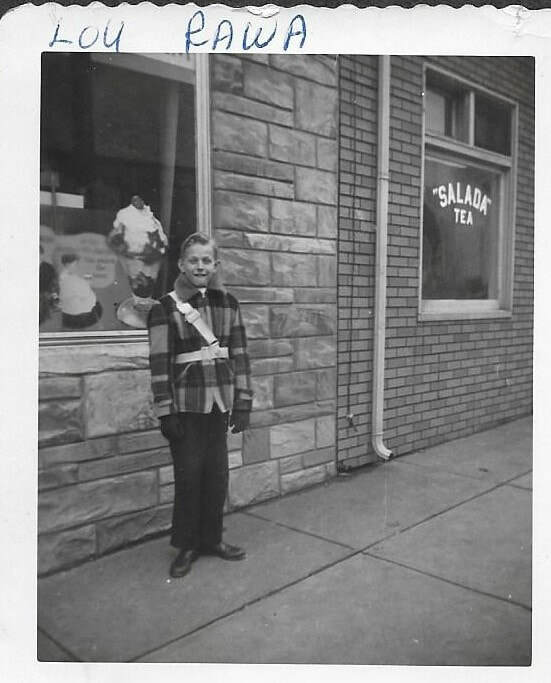 From the 7th to 9th Grade, Shirley was excited to join the PNA Drum & Bugle Corp. She first started out in the band playing of all things the Glockenspiel! 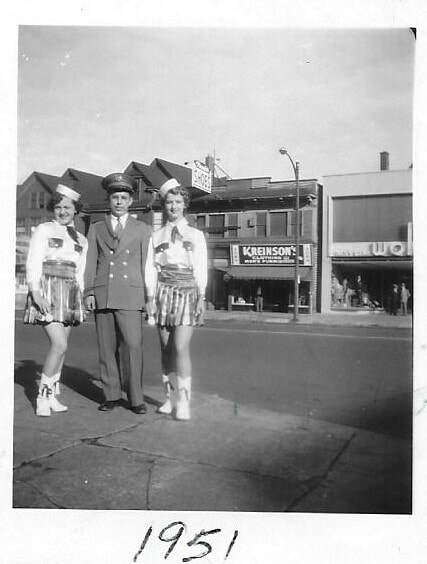 After that, there was an opening for a majorette. 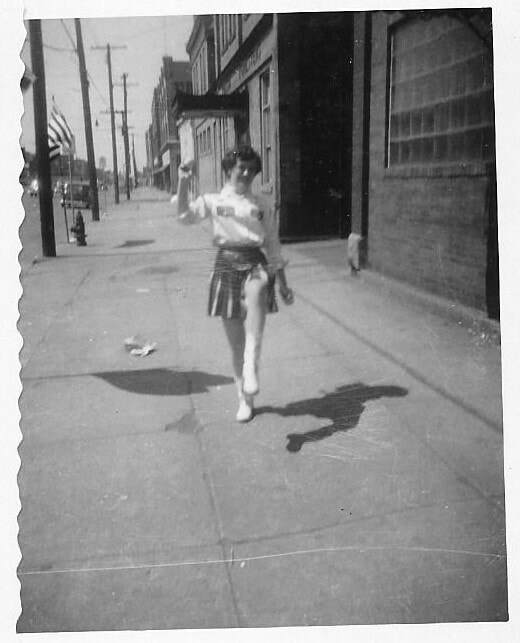 She remembers taking bus trips to Buffalo and Cleveland to participate in parades. 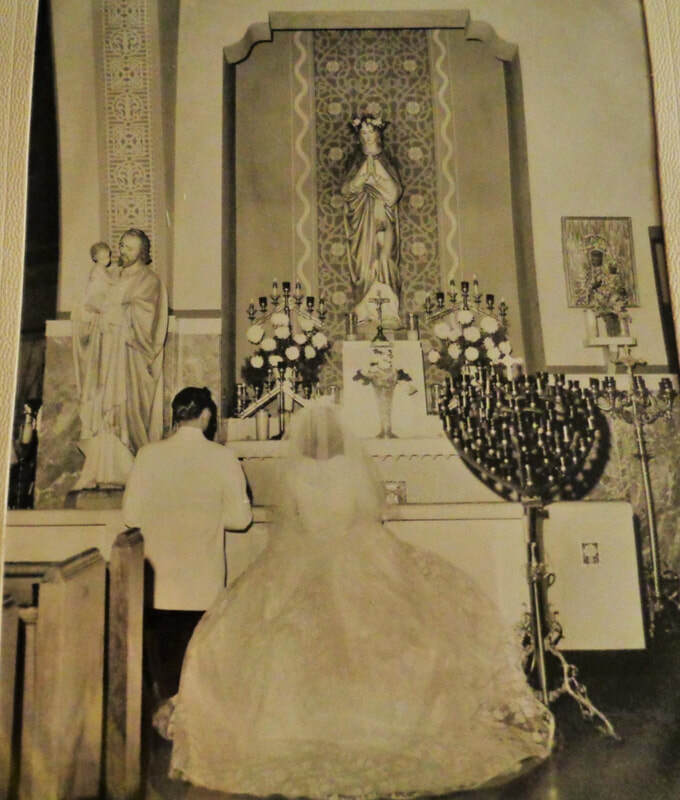 Shirley married Frank Czulewicz on May 17, 1958 at Holy Trinity Church, and they ran a very successful business together, Accu-Form, Inc. Frank grew up at St. Stanislaus Parish. 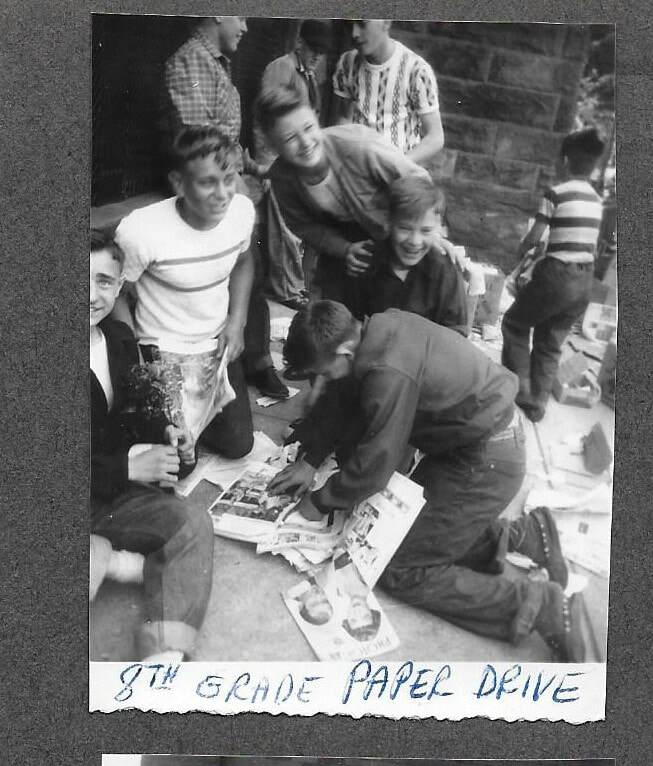 ​Shirley Walsh Czulewicz provided four large photo albums which proved invaluable to this project. 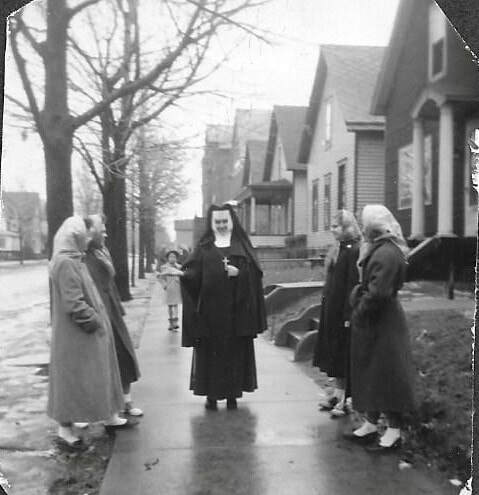 Through these albums you not only see our Polonia, but the life of a typical girl growing up in the 1940’s and 1950’s. It is a time capsule to simpler days. I wish to express my heartfelt thanks to Shirley for this glimpse into her life. 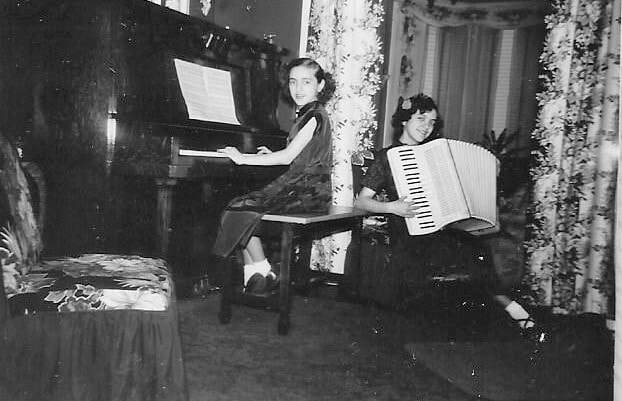 Theresa on piano and Shirley on accordion. 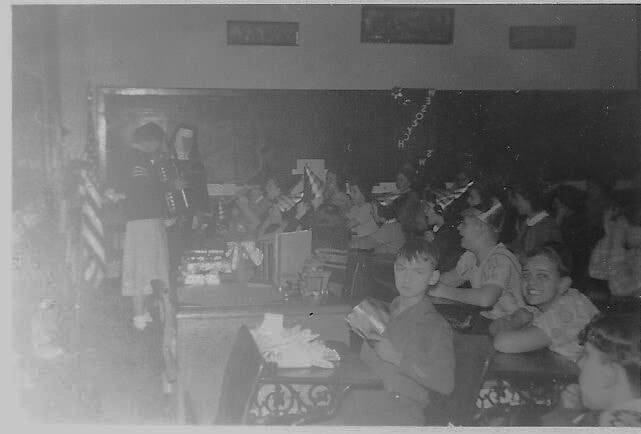 Shirley on accordion and her sister Theresa. Shirley and Theresa at Easter. Their mother Anna made the matching outfits which were green. The hats were navy blue. Shirley and Theresa in their homemade costumes for a play at Holy Trinity. 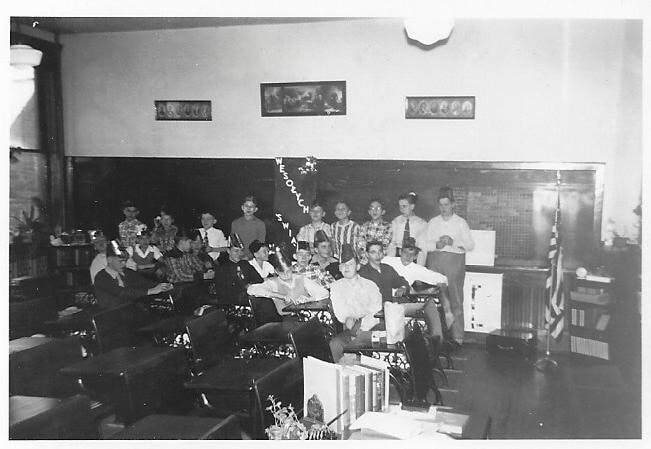 Shirley's 9th Birthday Party 1947. 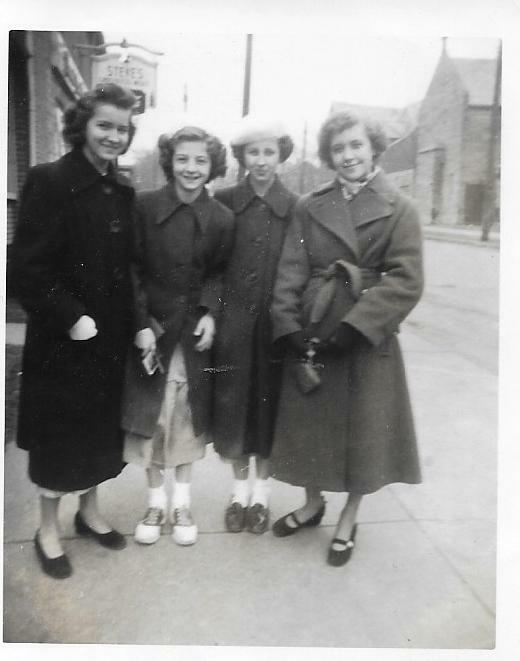 Left to Right: Loretta Baniszewski, Shirley Ann Walsh, Mary Ann Zaczyk, Rita Jarzynka, and Mary Kowalik. 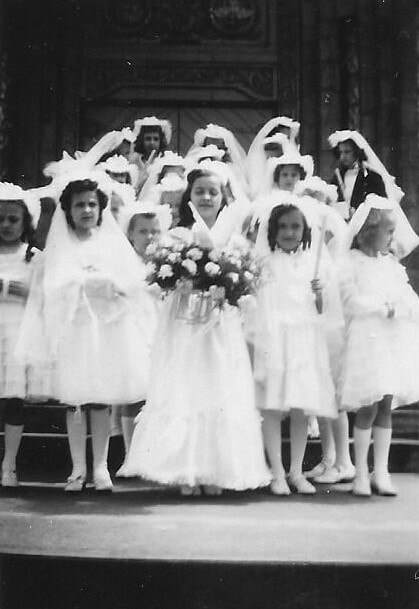 Shirley's sister Dorothy's first communion. 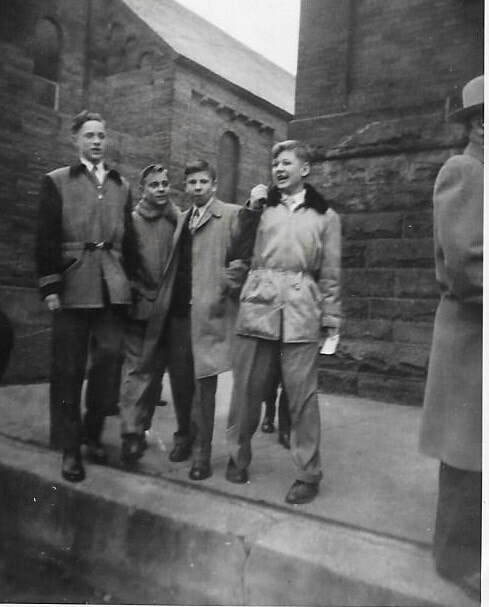 Shirley's brother Eddie's first communion. 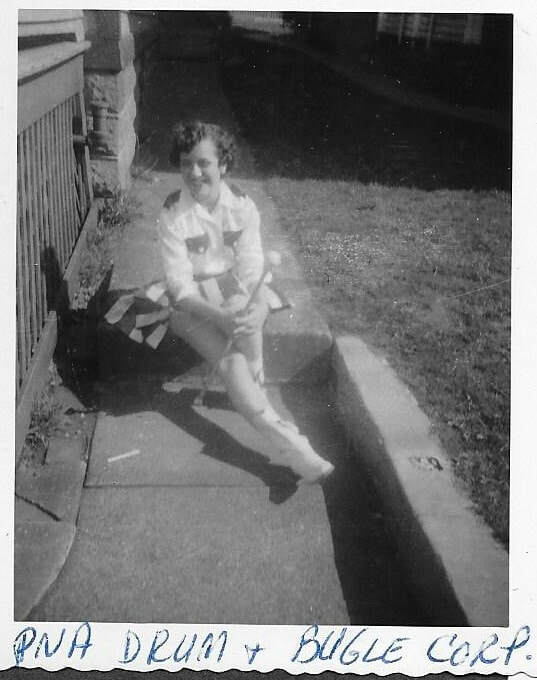 Shirley Ann Walsh 1948. See note in corner to her mother. 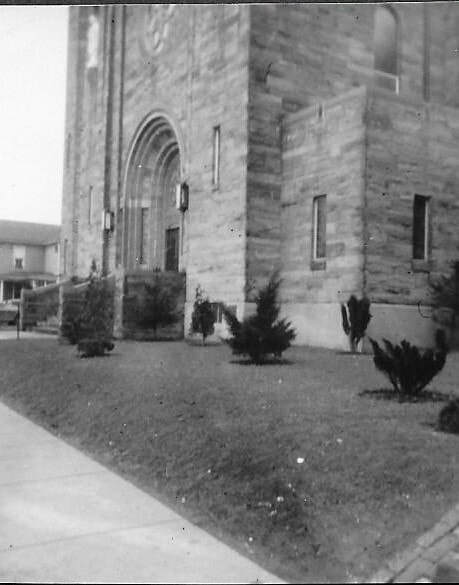 Holy Trinity Church Front Lawn. 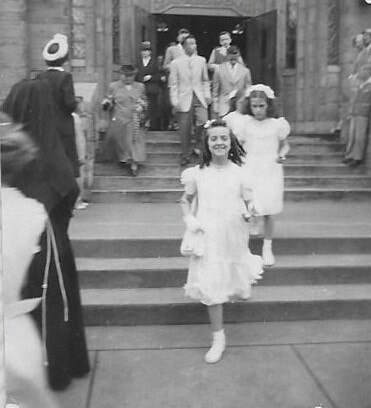 Shirley walking out of church on her Confirmation Day. Msgr. 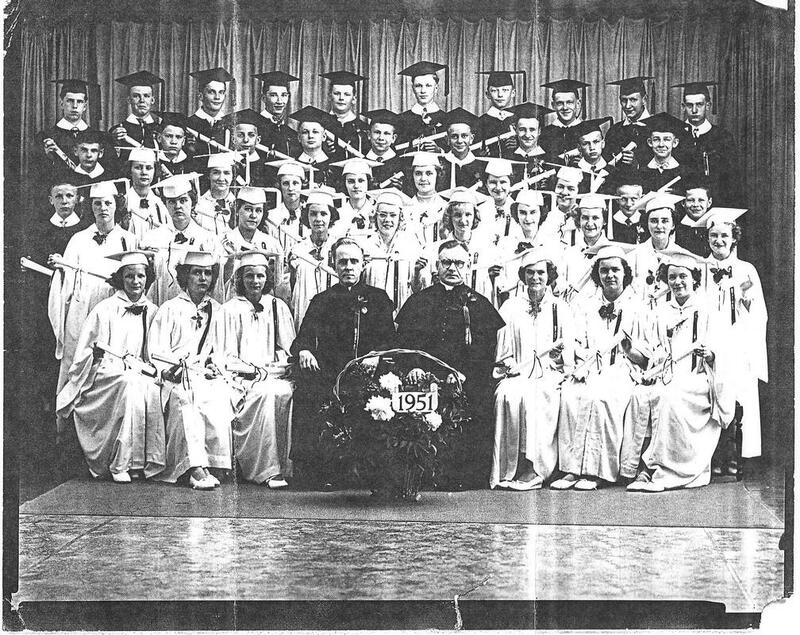 Severin Niedbalski and assistant Fr. Joseph Cebelinski, May 5, 1947. Msgr. Niedbalski died February 12, 1948 at age 83. 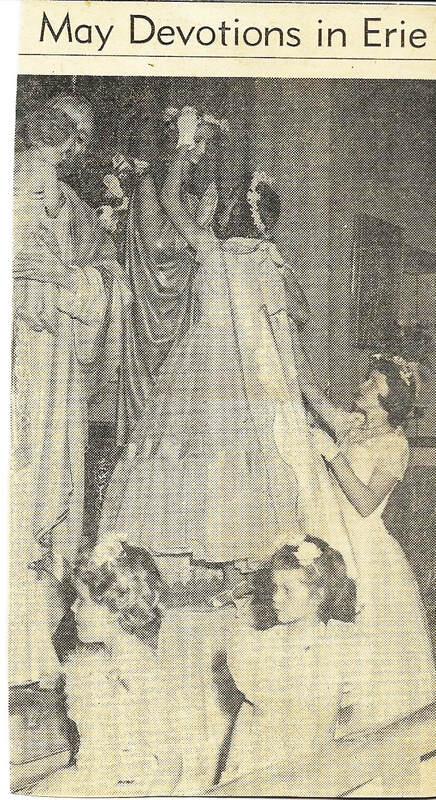 From original caption: In upper picture sodality vice prefect Shirley Walsh of Holy Trinity, Erie is shown crowning a statue of the Blessed Virgin with prefect Mary Ann Benecki as attendant. Cape bearers in foreground are Christine Markewicz and Karen Martyna. Wesolych Swiat with Sr. Faustine. 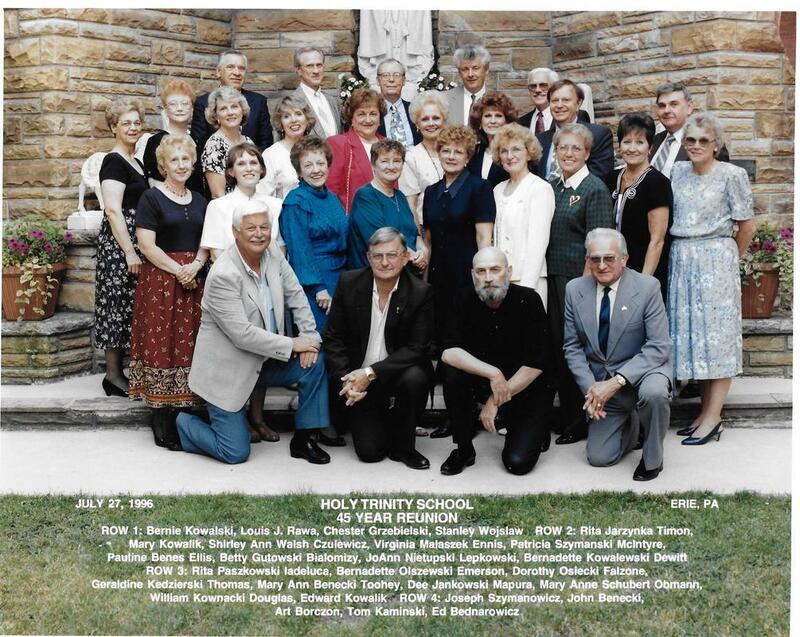 Holy Trinity School Class of 1951. 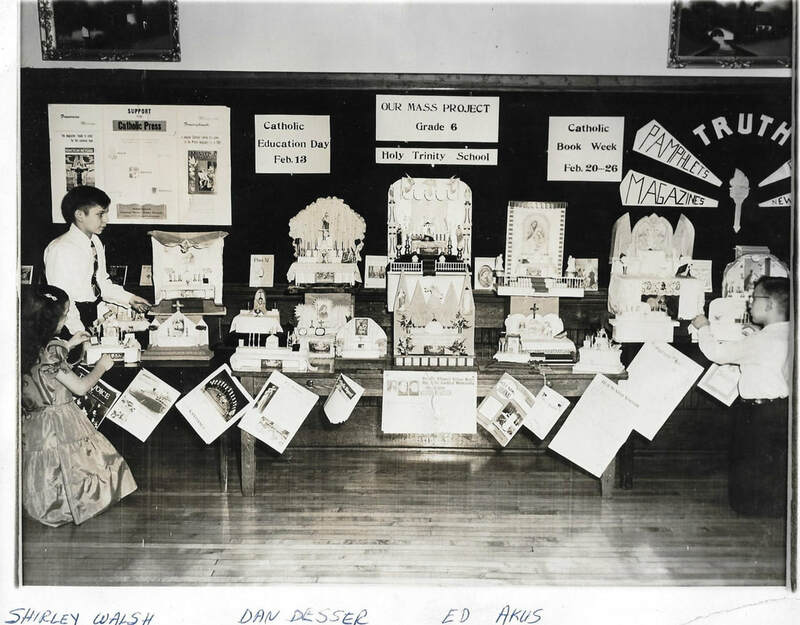 Holy Trinity School 90th Birthday Celebration. June 11, 1995. Seated at table: Mary Kowalik Johnson, Elizabeth Gutowski Bialomizy, Mary Ann Benecki Toohey, Mary Ann Schubert Obmann, Dee Jankowski Madura, Shirley Walsh Czulewicz, Rita Paszkowski Iadeluca. Their own Fourth of July Parade in neighborhood. 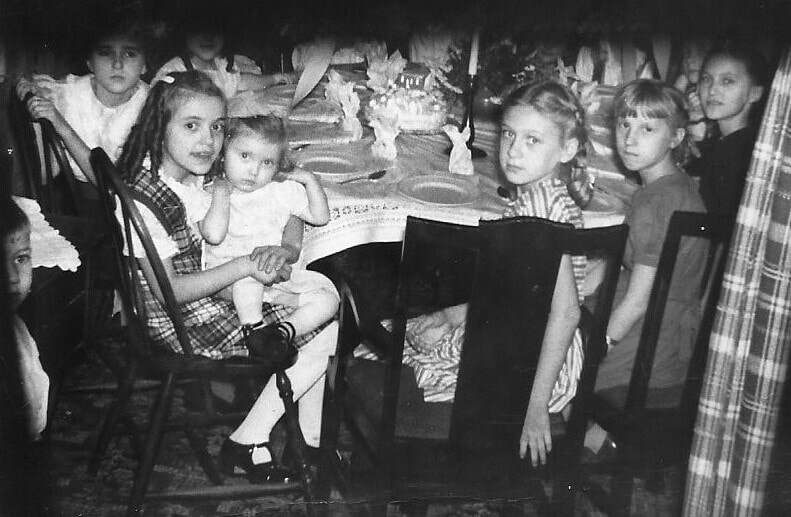 Shirley and her sister, Theresa, and Eddie Ciesielski, others unknown. 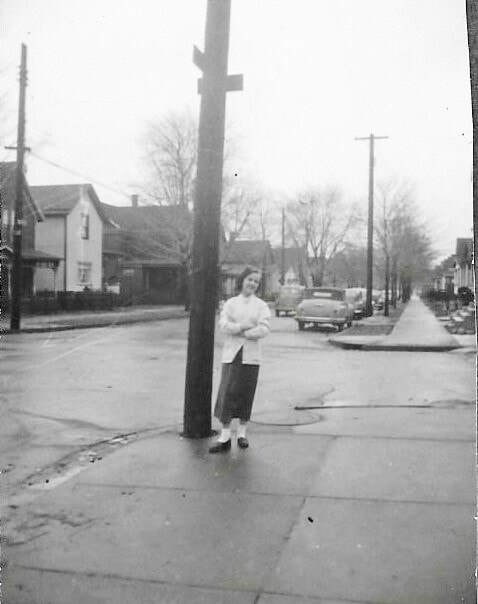 Shirley by her house on 18th and Holland. 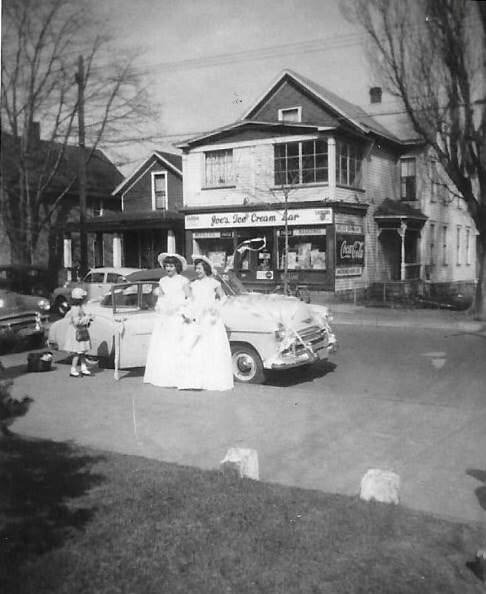 Steve's Ice Cream Parlor 660 East 22nd Street, across from Holy Trinity Church. 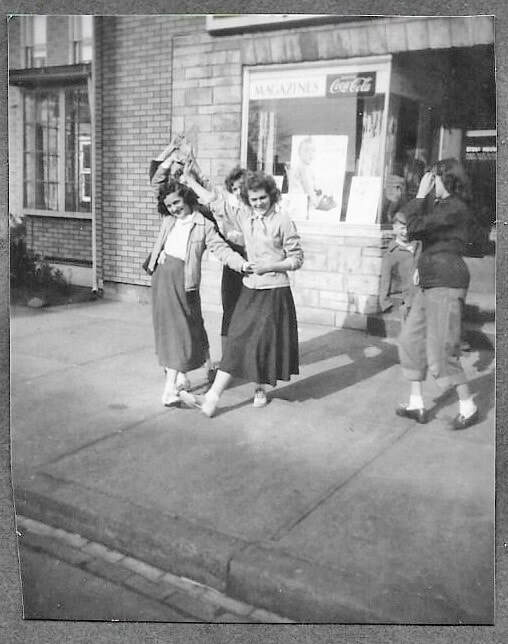 Shirley and Mary Ann Schubert having fun in front of Steve's. 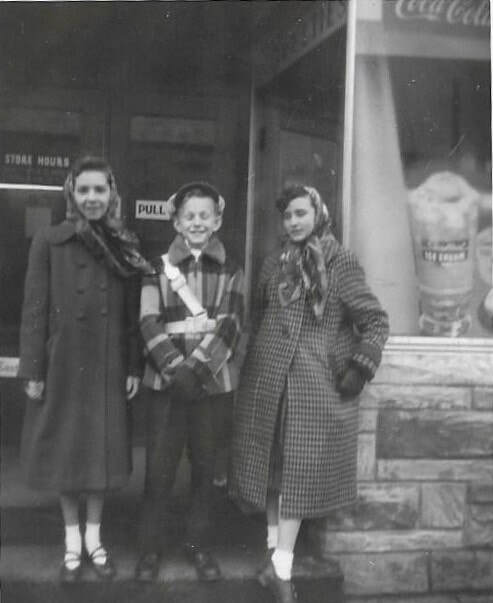 Mary Ann Rogers, Bill Sinicki and, Joanne Paszko (Dirienzo) in front of Steve's. 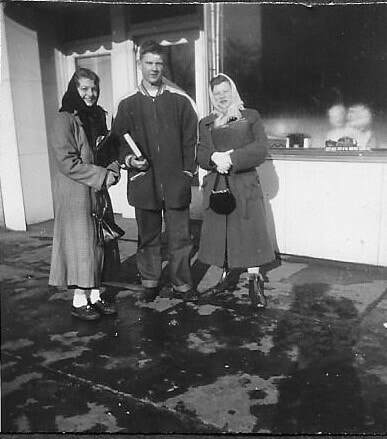 Rita Rutkowski, Louie Rawa and Loretta Bagniszewski in front of Steve's. 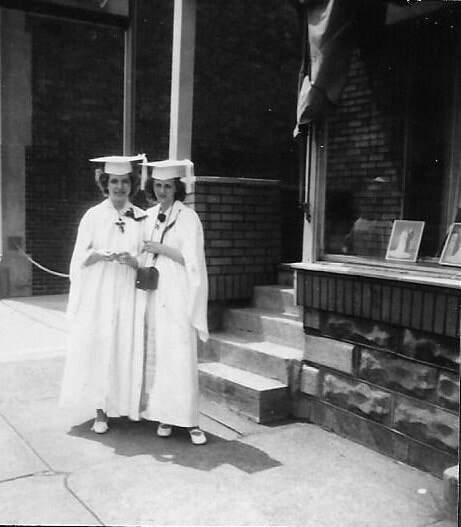 Friends dressed in Graduation gowns for class picture at Ossowski's Photo Studio. 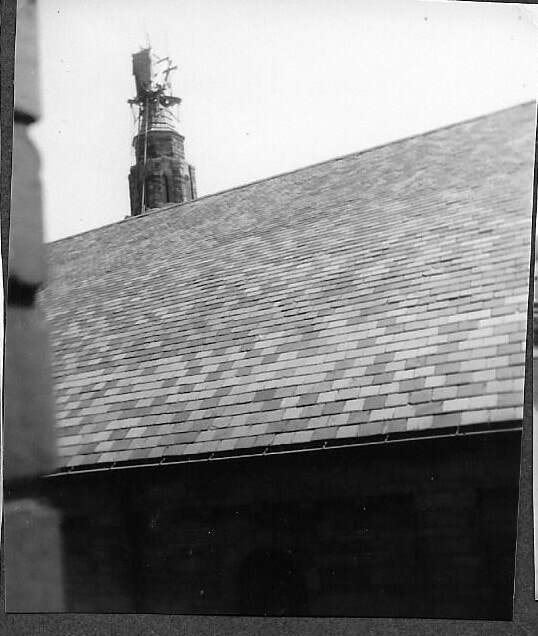 1951 . 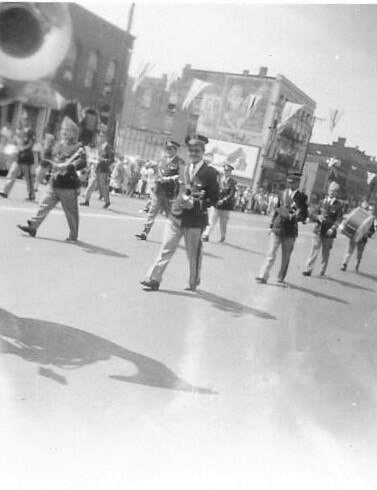 Shirley practicing in uniform at 13th and Parade Streets. 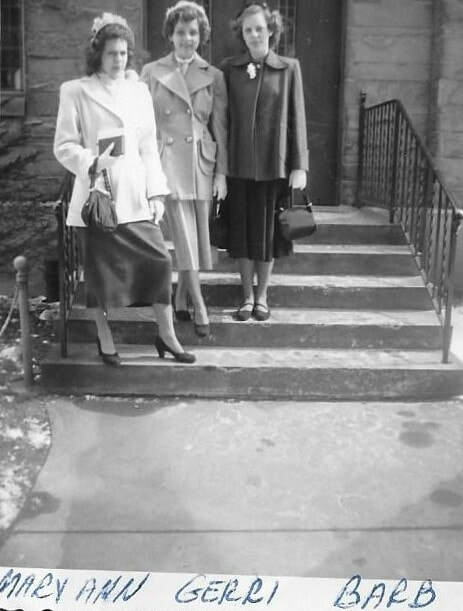 Shirley, Mary Ann Rogers and Tony Akus in Buffalo, NY. 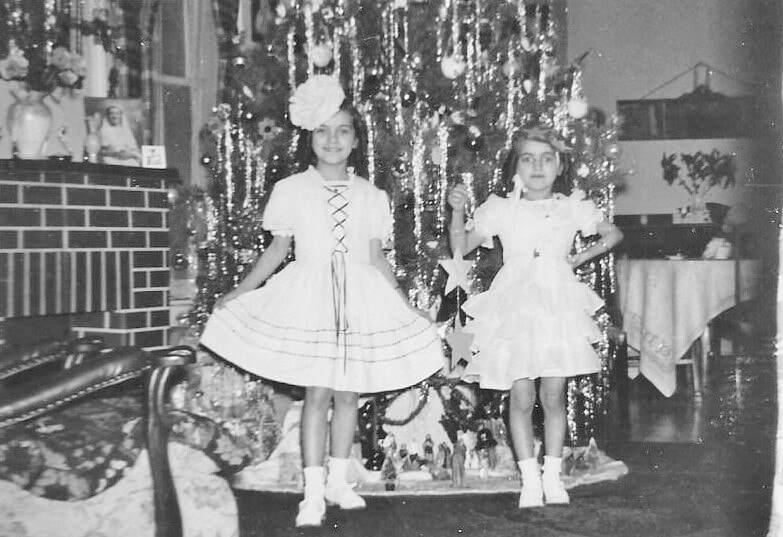 Mary Ann's aunt made the outfits which were red and white. Traditional blessing at bride's home before wedding. 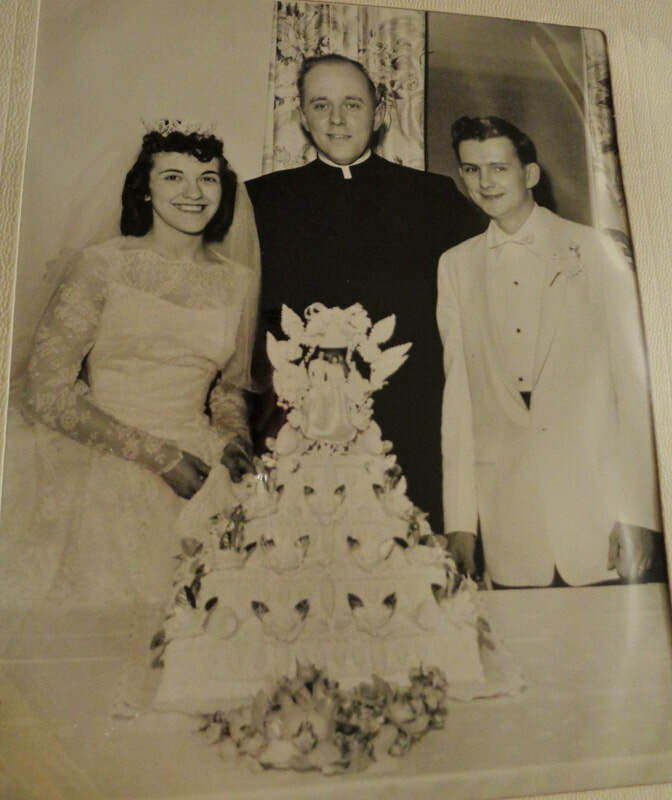 Shirley and Frank Czulewicz with Fr. Frank Zacharewicz. 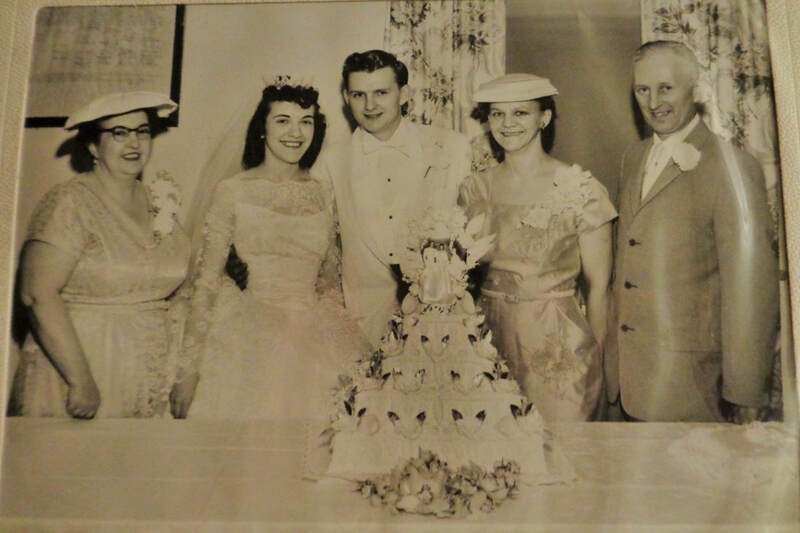 The happy couple with their parents.